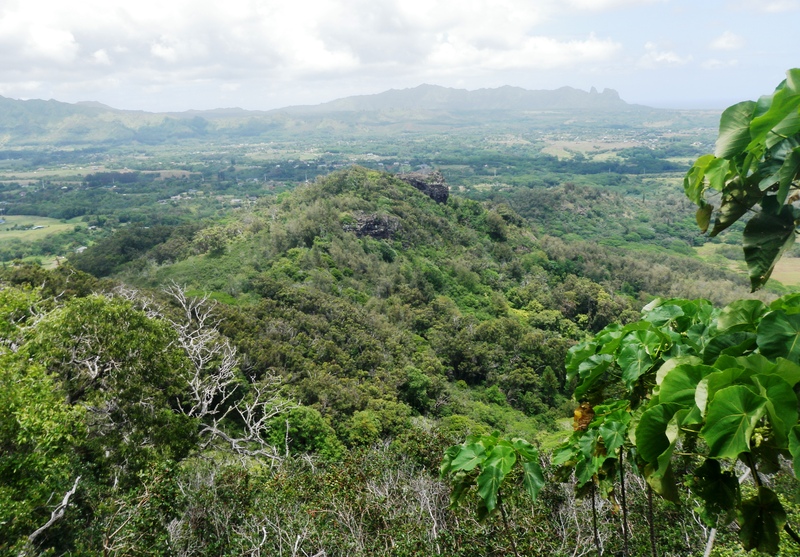 LIHU‘E, KAUA‘I — The Department of Land and Natural Resources, Division of Forestry and Wildlife (DOFAW) is seeking public input and comments on a draft forest reserve management plan for Nounou and Kâlepa Forest Reserves on the island of Kaua‘i. This plan is part of a series of site-specific plans to be prepared by the Division of Forestry and Wildlife for individual forest reserves throughout the State. Generally, management plans include a brief history of the specific forest reserve, a complete record of land transactions and boundary changes over time, a description of cultural and natural resources, as well as an account of infrastructure and intended use(s) of the area. The management plan approval process includes review by DOFAW Branch and Administrative staff, partner agency and public consultation, approval by the Administrator of DOFAW, and finally approval by the Board of Land and Natural Resources. Nounou Forest Reserve was established by Governor’s Proclamation in 1918 to protect the spring and to reforest the ridge. Kâlepa Forest Reserve was established by Governor’s Proclamation in 1944, also for reforestation. The two forest reserves (FR) are located on the windward side of Kaua‘i. Nounou Forest Reserve lies to the north of Kâlepa Forest Reserve, and they are separated by the Wailua River which is part of the Wailua River State Park. Nounou and Kâlepa Forest Reserves together comprise approximately 1,393 acres of public land and are generally characterized by steep, lower-mesic forested slopes. Vegetation is primarily composed of non-native species, although some native vegetation still exists in the upper portion of the reserves. Infrastructure in Nounou Forest Reserve is minimal and mostly for public access. There are small fence exclosures in both reserves for rare plant protection and outplanting. No hunting or camping is permitted in either forest reserve. The Forest Reserve System in Hawai‘i encompasses approximately 676,000 acres of conservation land, and it was created in 1903 with the goal of protecting forests and other watershed areas to ensure an ample water supply for the people of Hawai‘i.